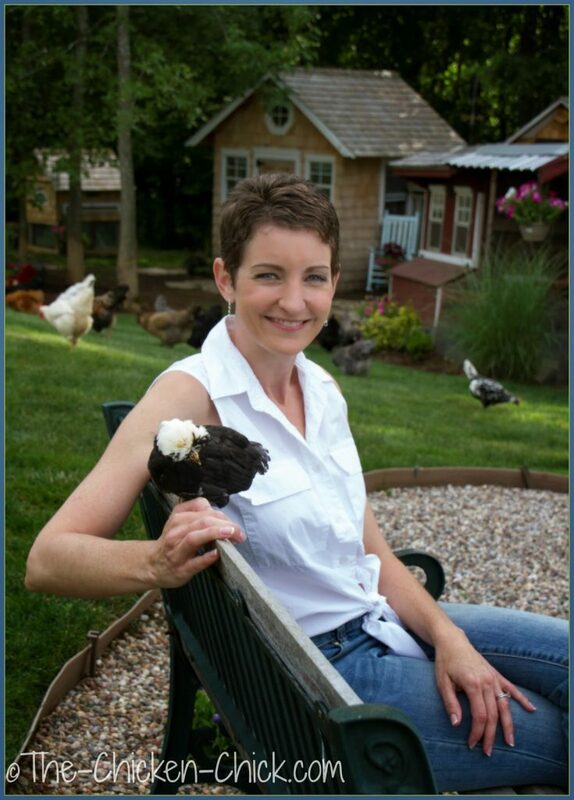 Chickens have a language all their own and while we may not understand it at first, by paying attention and tuning into our chickens we can understand a good deal of what they are trying to communicate. One German scientist, Dr. Erich Baeumer, is said to have documented at least 30 sentences that are part of a universal chicken language. 1 Whether or not you believe those claims, anyone who keeps chickens can attest to being able to understand various vocalizations made by their chickens. I know I can! 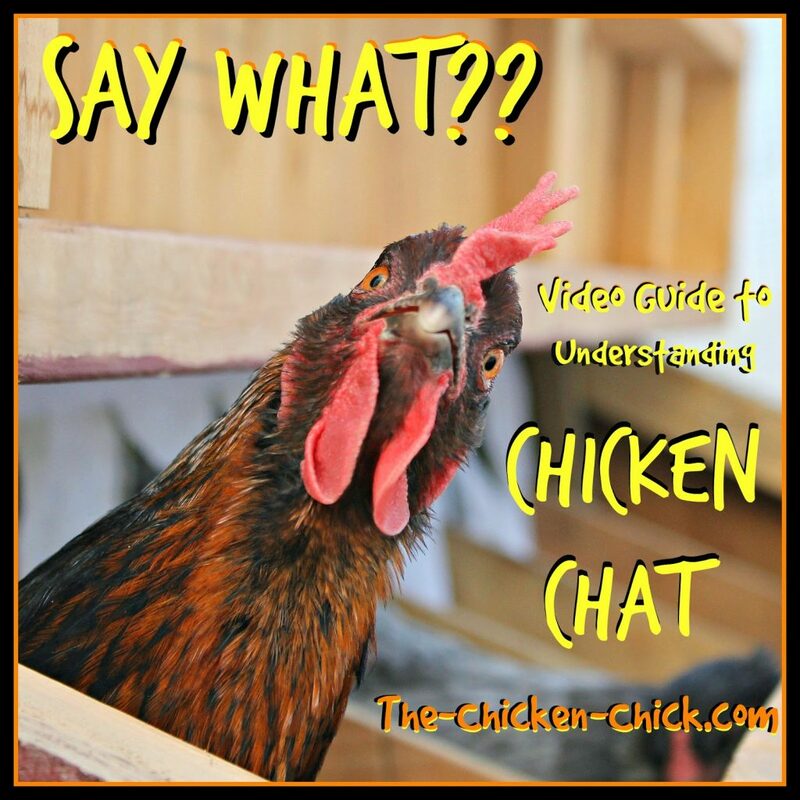 I took the following video clips of my chatty chickens over the years. There’s no question in my mind that chickens communicate in an organized, recognizable way. 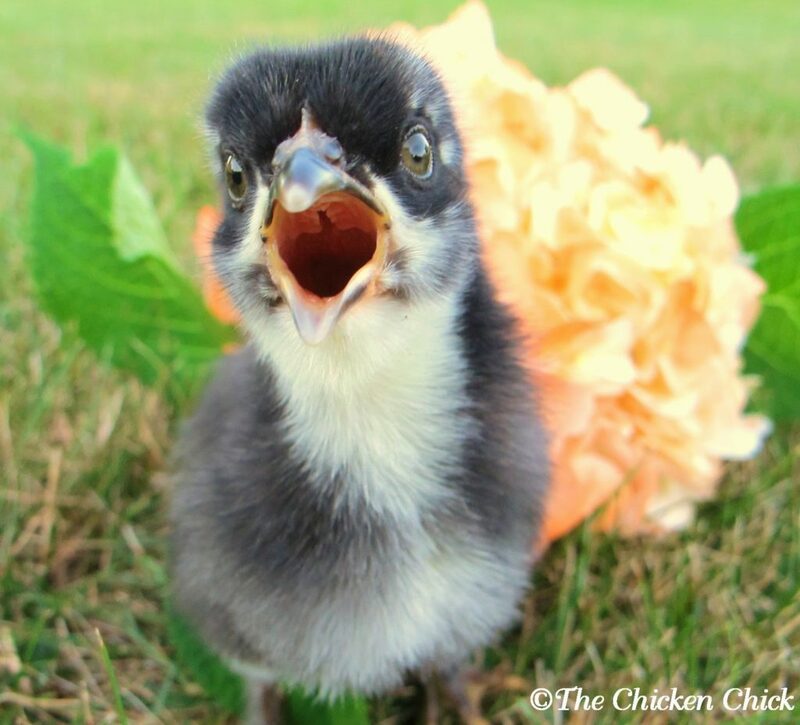 This is (St)Eve, a 6-day-old chick who was not at all pleased to have been separated from his peers or his mother. This ‘pieep, pieep, pieep’ sound is distinctive; whenever I hear it, I know that a chick has either become separated from its mother, is cold or in need of help. This video features Silkie mother Freida teaching her chicks to eat. As she picks up and drops morsels of food, “tuck-tuck-tuck” sounds encourage them to eat. Anyone with laying hens will recognize the classic Egg Song as heard in this next clip. Two of my hens, Marsha, a Barred Plymouth Rock and Madonna, a Blue Splash Marans, sing together after just having laid eggs. “Dr. Baeumer does not think they are boasting or saying, ‘Thank heaven that’sover.’ He believes that it all goes back to the days when wild hens laid eggs in hidden nests. After each delivery, the hen gave a loud cackle to regain contact with the rest of the flock.” I’m not sure I agree with that assessment, as my hens can often be heard singing egg songs before laying. Who knows … maybe it’s a slightly different song? This video shows my chickens, hiding in the woods after having been alerted to the presence of a hawk in the area by my rooster, Max. I was working inside the house at the time with the door and windows closed, yet immediately recognized the united sounds of alarm and panic. When I opened the back door, the instigator’s identity was confirmed as the hawk flew away. The sound of a broody hen who has been disturbed can shatter glass. My Buff Orpington, April, was sitting on hatching eggs, warning me not to get any closer to her precious cargo. I complied at the risk of having a hole pecked into my hand by her beak. There are few sounds sweeter than a mother hen communicating with her chicks. In this video, 1-week-old chicks out for a stroll with their mother chat happily, oblivious to any potential dangers. Meanwhile their mother, Mabel, a Black Copper Marans, can be heard clucking softly to them, encouraging them to stay together and within a safe distance of her. These chickens are enjoying a spa day in the run, dust bathing and muttering contentedly. I suspect this is the chicken equivalent of gossiping at the hair salon. As Rachel seeks out her place in the Sand Salon, the pecking order is painfully reinforced by quick pecks from a higher-ranking flock member, eliciting overly dramatic screeches from Rachel. they pick up and drop food, encouraging her to walk to it. After spending some time in the Broody Breaker, Rachel (Bantam Cochin Frizzle) has a few choice words for me as she makes her way back to the coops to rejoin the flock. And last, but not least: the roosters. Why and when roosters crow has long been a mystery and will likely remain so, but I have to believe there is some testosterone-driven competition going on between the fellas in the following video. In this last clip, Brutus, my Mille Fleur Serama cockerel communicates with a few of the ladies, calling them over to enjoy various grass-dwelling morsels he found for them. Chivalry is alive and well in the backyard! I noticed that different breeds have different “sounds,” also. Their voices are actually different. All of mine say their names.